Dive into God's Word as you enjoy heartfelt devotional time with the ICB Jesus Calling Bible for Children. 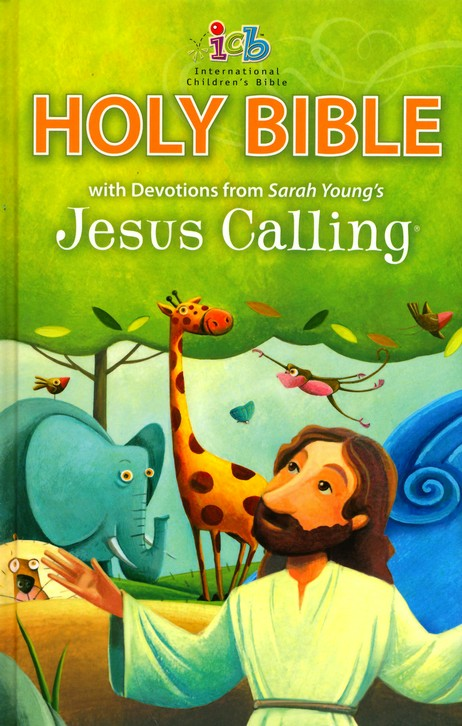 This is the first full-text ICB Bible for children with 160 full-page devotions from the Jesus Calling children's devotional. The two-color Bible text and devotional content are complemented by an additional 96 vibrantly colored Bible story inserts that tell key stories from the Bible, along with a takeaway application. Also included are 365 highlighted key memory verses for young readers, prayers, and kid-friendly applications. 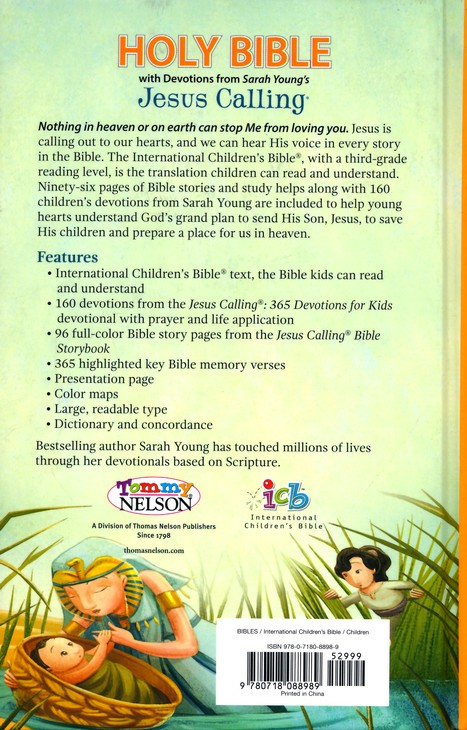 The ICB Jesus Calling Bible for Children will help your children grow in knowledge and in relationship with the Lord. The Jesus Calling series has touched millions of lives as the words speak to readers and help them grow closer to God. As you read the devotions alongside their inspiration—the inerrant and beautiful Word of God—the ICB Jesus Calling Bible for Children will ignite faith in children and show them the true power of God's living Word.